The Lakers have been hesitant to trade any of their young players in recent years. Brandon Ingram and Ball were in the conversation in a possible trade for Paul George. It’s unclear if that stance has changed now that Davis could be available. The Lakers’ planned to meet Monday morning to discuss their options. Ball was selected by the Lakers with the No. 2 overall pick in the 2017 draft, and during his debut season, the 21-year-old was named to the All-Rookie Second Team. 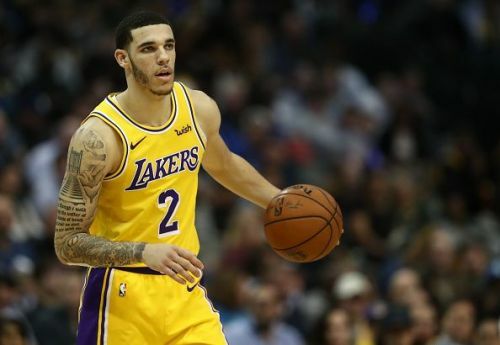 Entering the 18/19 season, Ball was expected to drop to the Lakers bench, however, the young point guard has remained the team's first choice ahead of the experienced Rajon Rondo. Up until he was ruled out for six weeks by an ankle injury, Ball was enjoying the best form of his career. In his last seven appearances, Ball was averaging nearly 10 assists per game, while also shooting well from the field, and it looked as though Ball was going to be a vital player for the Lakers until at least the summer. Nevertheless, the Lakers will be willing to sacrifice the promising point guard in a trade for Davis, and Ball may have played his last game for the team. The Lakers will tonight take on the Philadelphia 76ers, who are currently 4th in the Eastern Conference standings.